Profound history and a dynamic fresh appearance have attracted a great number of travelers to Shanghai. Also, as a busy global transportation hub, Shanghai has links with almost all the major cities of the world. Given that, let's create a China vacation from Shanghai. How to plan a China tour from Shanghai? Well begun is half done, as the saying goes. Shanghai, a city where cultures of East and West converge, is a great place to start your China tour. The sightseeing activities here are best enjoyed at a leisurely pace, meanwhile you can recover from your long-distance flight and gradually get used to the time and climate difference. 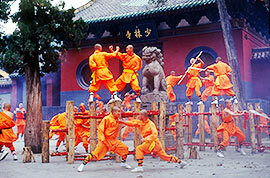 Generally speaking, 2 to 3 days in Shanghai are adequate to cover its highlights. You can then travel to other popular destinations depending on your interests and the time you have. 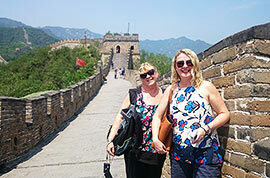 Here are some of our suggestions to help you work out a travel plan to some top China travel destinations. 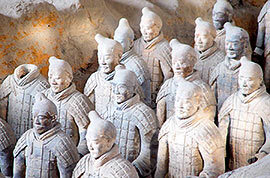 Both Beijing and Xian are ancient capitals most worth visiting. The frequent high-speed trains from Shanghai to Beijing only take around 5 hours. 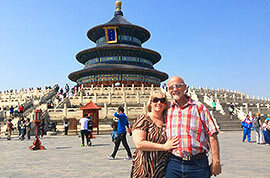 3 to 4 days in Beijing and 2 days in Xian are enough to include the must-see places. 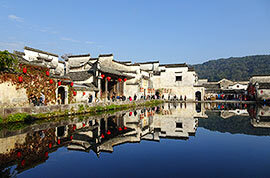 Chengdu with a history of over 4500 years is also favored by a great many people. 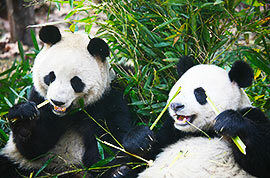 It is also home to the lovely Giant Pandas. If you are short of time, you may consider visiting Hangzhou or Suzhou, both have a notable cultural heritage. You can easily make a day trip to either of them as it takes less than one hour to travel by high-speed train to the two cities from Shanghai. Guilin and the Yangtze River always attract visitors with their enchanting natural scenery. 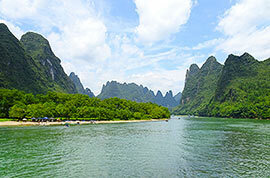 Most visitors often opt to stay in Guilin for 3 to 4 days to admire the scenic Li River and rural Yangshuo. To sightsee the Yangtze River, you can take a 4-day relaxing cruise from Chongqing to Yichang or vice versa. Regular daily flights are scheduled from Shanghai to the above-mentioned cities. 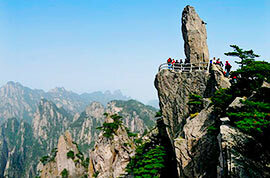 We recommend the Yellow Mountain and Zhangjiajie for you to enjoy awesome mountainscapes and exciting hikes. The high-speed train services make the ride from Shanghai to Yellow Mountain in only around 4.5 hours. The direct flights between Shanghai and Zhangjiajie make the floating mountains of Avatar easily accessible. If you get 3 days for an extension China land tours from Shanghai, you may consider either of them. We suggest you visit Tibet, Yunnan or Guizhou, where you can learn about unique folk culture and traditions. It is usually suggested that one plans for 4 to 7 days to explore each of these regions. 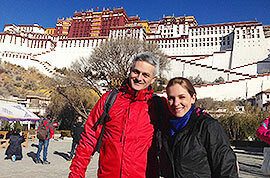 Highlight cities including Lhasa, Kunming, Dali, Lijiang, Shangri-La, Guiyang and Kaili are all popular among travelers. If you are not quite sure how to arrange your China tours from Shanghai, please just tell us your ideas and our professional consultants will get you started with ease. I am staying at Four Points by Sheraton Shanghai Pudong. I want to take a night cruise on the Huangpu River around the Bund and Lujiazui areas. Should I go to the Dongfangmingzhu Pleasure Cruise Boat Wharf or the Shiliupu Pier to book this cruise? What is the best way to get there and back? Is there a subway connection that would work? There are a lot of ticket booths in Zhongshan Dong Yi Road. You are suggested to take a taxi and ask the driver to the nearest one. It won't cost you too much, only CNY30 for the taxi fee.